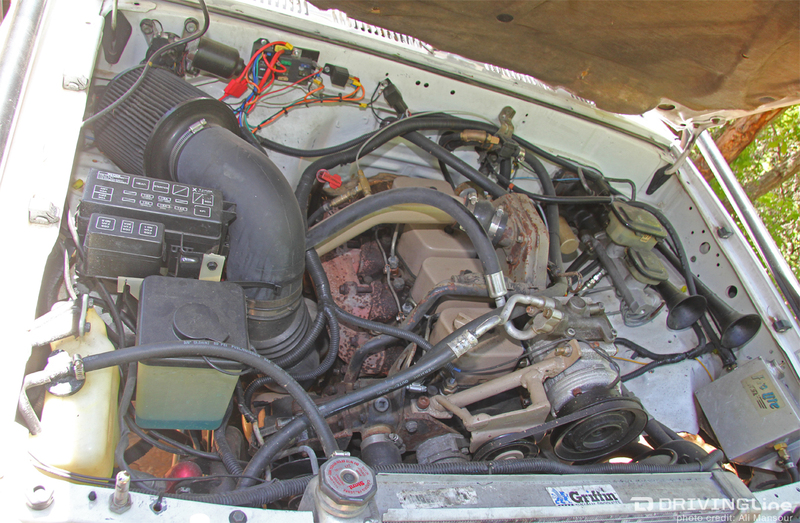 At the recreational level of the off-road hobby, engine swaps are a mixed bag. Gas engines – namely the LS variety – are the most dominant, but diesel engines are steadily gaining market share. One diesel engine in particular that pops up more than most is the 3.9L Cummins. Weighing in at nearly 800 pounds, the robust inline four-cylinder engine is the little brother of the cherished 5.9L 12-valve Cummins diesel engine. The fact that both the 3.9L and 5.9L share much of the same DNA gives diesel enthusiasts confidence the engines can go the distance. 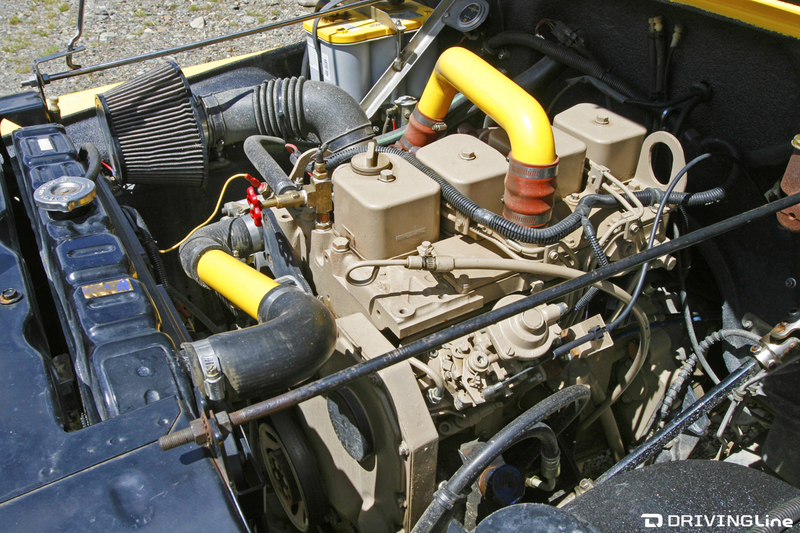 Hitting the market in 1983, the first 3.9L Cummins (known as the 4BT) has been used in everything from delivery trucks to wood chippers. This means they can be found anywhere, and for really cheap. In addition, since the engines require very few electronics to operate, it simplifies the conversion process. Diesel engines are notoriously large, and the family of B-series Cummins diesels are some of the longest and tallest. Both of these facts make them difficult to package. The 4BT measures out (in inches) with an overall length of 30.6, height of 37.7 and width of 24.6. While not exactly the smallest four-cylinder out there, we’ve seen them squeezed under the hood of everything from a Ford Mustang to a Jeep Wrangler. 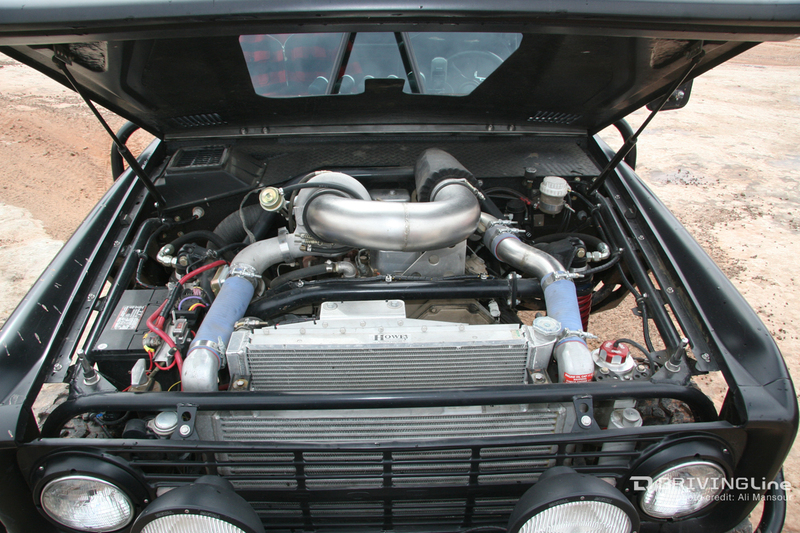 The pre-1998 4BT engines have eight valves and received power ratings of 105hp and 265 lb-ft of torque. Post 1998 units (known as the 4BTA) went to a 16-valve configuration. With this valvetrain adjustment came a base horsepower bump to 170 and a more impressive 420lb-ft of torque. Depending on the application, the power figures vary. 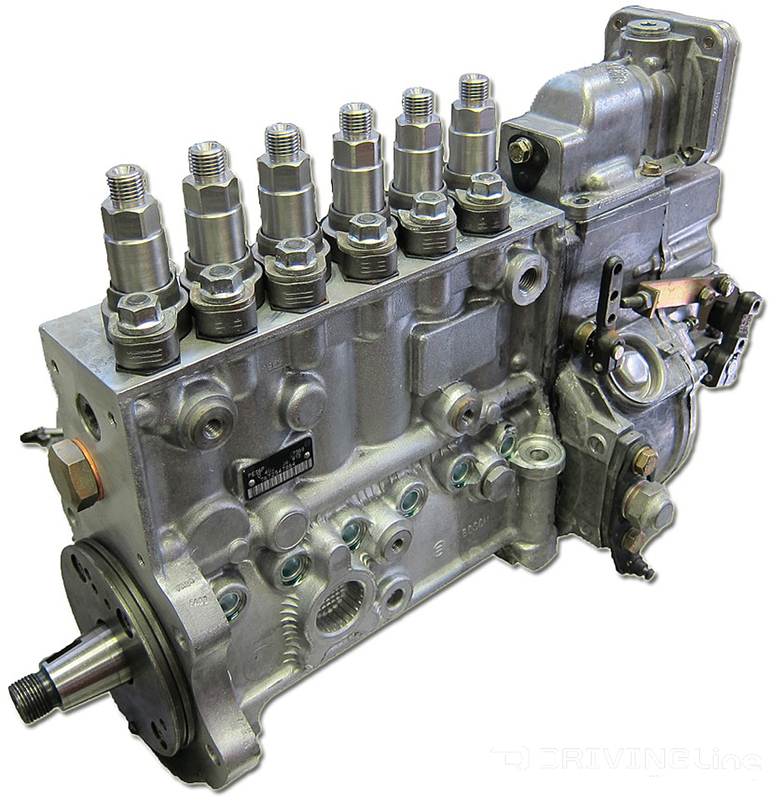 The earlier 4BT engines are still the easiest to come by – the most desirable equipped with the P7100 mechanical injection pump, often referred to as the P-pump engine. These injection pumps are easier to modify and are thought to be more reliable over the later-style electric VP pumps. A P-pump engine won’t significantly change the asking price of the engine. Power? Or Fuel Economy? Choose One. One commonality between the 4BT and 4BTA is that both are non-intercooled, turbo-diesel engines. From a packaging front, this is helpful as intercooler ducting, as the intercooler itself can be challenging to fit under the hood. The trouble for those chasing more power is that an intercooler of some sort will need to be added. With the weight of the engine being a third of Jeep Wrangler, the added mass up front can have a negative effect on the handling. The added weight also puts more strain on the vehicle's suspension and axles. For a full size truck or SUV, the weight won’t be as much of an issue. Weight is often relative when it comes to a heavily modified 4x4. Some will argue that the fuel savings will justify the conversion. This can depend greatly on what powerplant you are moving from. If your rig currently averages 15 miles-per-gallon, it’s less likely you’ll make your money back from the fuel savings of the conversion. Most real-world numbers we’ve seen have ranged between 17-21 mpg. Again, this is dependent on application. Simply put, don’t let fuel economy be your only reason for swapping in the 3.9L. The biggest drawback of the 4BT is that it’s not a modern diesel. In fact, it’s a bit antiquated and unrefined. While that’s not always all bad, for some, the rattle, shake and noise of this diesel will be too much. Also, you can’t simply hook a programmer to a 4BT and voila! you have 500hp. Can you turn up the power? Absolutely. However, it’s going to take real work and a serious investment of funds to get the numbers into the bragging realm. We can’t deny that the 3.9L Cummins diesel is an engine of merit. The mass availability, simplicity and slew of manual and automatic transmission options make it look great on paper. There are ultimately better diesel options, but not many are cheaper. If you have a fullsize application, the 4BT isn’t a bad option, especially if you are looking to build a reliable overland-type rig. For something as small and nimble as a Wrangler, there are a better options. No matter what you decide, when it comes to engine swaps, the 3.9L Cummins is definitely worth bringing to the table. And if you're in the market for a used diesel pickup, we’ve put together an all-inclusive Cummins-Powered Ram Buyer's Guide for you.